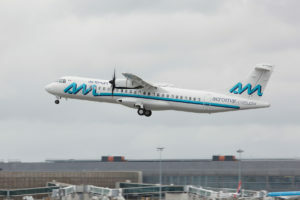 Mexico City, November 14, 2016 – The turboprop aircraft manufacturer ATR and the Mexican carrier Aeromar today signed a contract for the purchase of 8 firm ATR -600 series aircraft (6 ATR 72-600s and 2 ATR 42-600s). The deal also includes options for 6 additional ATR 72-600s. The ATR 42-600s will be configured with 48 seats and the ATR 72-600s will have a capacity of 72 passengers. With the introduction of these latest-generation turboprop aircraft, the airline will progressively replace and upgrade its current fleet, which today includes 9 ATR 42-500s, 4 ATR 42-300s and 2 ATR 72-600s. The aircraft will also enable Aeromar to add passenger capacity to boost a number of main routes and create new connections to its regional network across the country. The first of the new ATR -600s will arrive in December 2016. Aeromar is a long-standing partner of ATR, having been operating ATR aircraft for almost 30 years, since it was founded in 1987. The cabin of the ATR -600s, designed by the Italian firm Giugiaro, features the most modern standards of passenger comfort, including thinner and lighter seats, LED lighting and new overhead bins with 30% additional storage capacity compared with previous ATR versions. The new avionics of the ATR -600s, developed by Thales, use the same technologies as in the A380 aircraft, substantially decreasing pilot workload and increasing flight path and approach precision thanks to satellite navigation. Commenting on the deal, Andrés Fabre, Chief Executive Officer of Aeromar, stated: “The ATR aircraft represent the most cost-effective solution for our short-haul network. With a renewed fleet based upon the ATR -600s, our passengers will experience the most modern standards of comfort and service. We are very pleased to further develop this longstanding and highly successful partnership with ATR. 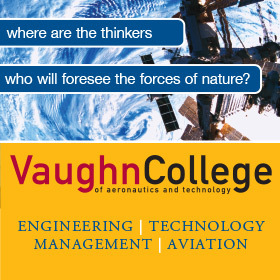 We both share a commitment to safety and the passion for technology with an environmental-friendly conscience”. As of today, some 160 ATR aircraft fly over Latin America and the Caribbean under the liveries of 30 airlines. The number of ATRs operating in the region has doubled over the last decade. « Post Aneterior - Largest Airbus customer in Mexico first to operate best-selling, fuel-efficient aircraft Low-cost carrier Volaris took delivery of its first A320neo, making the airline the first operator of the A320neo in North America. Volaris is Mexico’s largest Airbus customer, having ordered 74 A320 Family aircraft, including 30 A320neo. The all-Airbus operator became a customer in 2006, and since then has become Mexico’s biggest A320 Family operator with 63 A320 Family aircraft in service, including 17 A319, 42 A320 and four A321. The A320neo for Volaris is powered by Pratt & Whitney Pure Power PW1100-JM engines and leased through AerCap. Configured to seat up to 186 passengers in 18”-wide seats, Volaris’ A320neo will be equipped with the innovative Space-Flex cabin. The A320neo Family incorporates latest technologies including new generation engines and Sharklet wing tip devices, which together deliver more than 15 percent in fuel savings from day one and 20 percent by 2020. “The arrival of the A320neo symbolizes an important step in our ambitious ultra low-cost strategy,” said Enrique Beltranena, CEO of Volaris. “Volaris is delighted to be the first to bring this new technology to passengers in North America.” “Airbus is honored to deliver the first A320neo in North America to Volaris, an all-Airbus operator for more than 10 years,” said Rafael Alonso, President of Airbus Latin America and the Caribbean. “Mexico’s strong economic growth presents a key opportunity for the country’s top airlines such as Volaris to expand and remain environmentally efficient, and the A320neo will be exceptional in achieving this for Volaris.” “Pratt & Whitney extends its congratulations to AerCap, Volaris and Airbus on the delivery of today’s A320neo. We are proud to be part of the team bringing the first A320neo to North America,” said Rick Deurloo, senior vice president, Sales, Marketing and Customer Service for Pratt & Whitney. The A320neo Family is the world’s best-selling single aisle product line with nearly 4,800 orders from 87 customers since its launch in 2010 capturing some 60 percent share of the market. Thanks to their widest cabin, all members of the A320neo Family offer unmatched comfort in all classes and Airbus’ 18” wide seats in economy as standard. Including Volaris’ A320neo delivered today, 18 A320neo aircraft have been delivered to seven customers.